The Kenya Rugby Union recently named Mwamba RFC head coach Kevin Wambua as the new Kenya 7s assistant coach meaning it's an end to Will Webster's tenure at Kenya 7s. Webster was appointed Innocent Namcos Simiyu's assistant for two years- first as an analyst before being confirmed by the Union but both have since left those roles after their contracts expired in mid October 2018. Namcos was replaced by Paul Murunga who was not given a free-hand to appoint his assistant as previously done. Asked on what his next move would be, Wesbter told Raga House that "he's looking to move on to somewhere I can develop myself more than I can in Kenya with regards to learning and seeing other environments. Where that will be, I’m not totally sure! There’s a few things in the pipeline!" He was in-charge of the Kenya 7s squad that won Victoria Falls 7s and says it has been an honour working with Namcos. "It has been great- an honour to have had the chance to represent Kenya. I have an excellent relationship with Namcos. We are well balanced together and reflect ideas off of each other. We have a similar view of how the game should be played." "He is an excellent coach and manager of people... The powers that be should do everything in their power to keep him because it won’t be long before he’s in demand elsewhere." 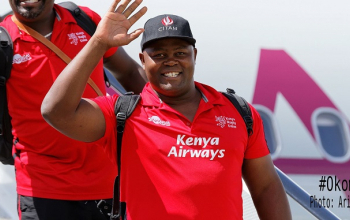 Webster, currently doing his level 3 coaching certification, came to Kenya in 2014 and took up the role of a director of Sport at Kenton College. "I spent time with Impala, Mwamba and Homeboyz before being appointed assistant coach to 7s." 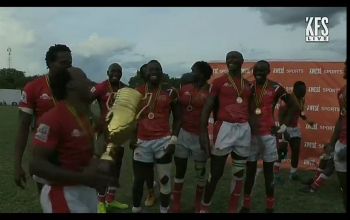 He will be proud to have been part of the Kenya 7s that crossed the 100 point mark as well as reaching Hong Kong 7s and Vancouver 7s cup finals. "Consistency has been much improved on previous season. Two cup finals in Vancouver and Hong Kong as well as reaching 8 out of 10 cup quarter finals." "A number of things that need to be worked on and I think Kenya are still well behind in certain areas of performance than other nations. Important younger guys keep coming through- you only have to look at the Blitzboks medaling in Hong Kong with a complete development team." 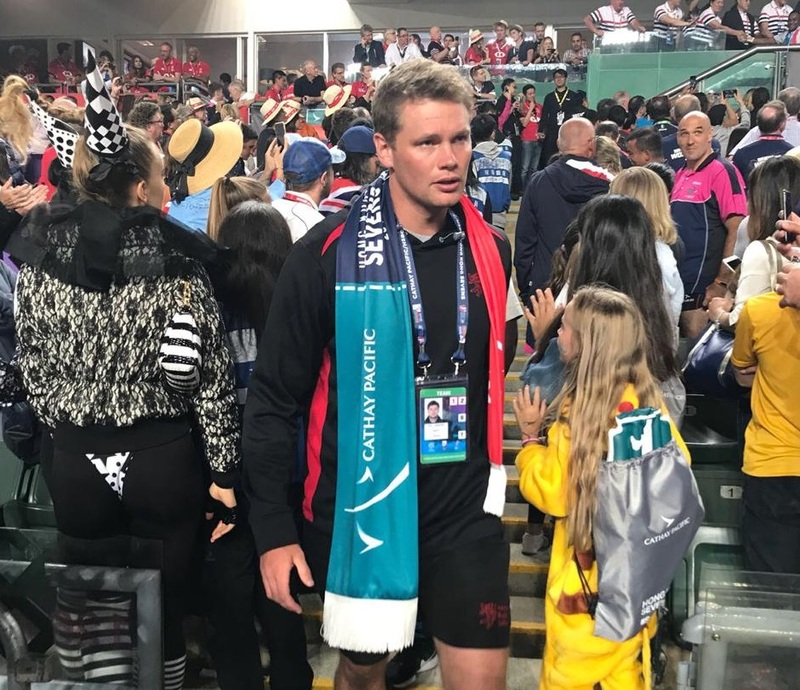 His best moment at Kenya 7s was "reaching the Hong Kong final- despite the final going the way we would have liked, we played some very good rugby and showed great character to win games at the death. Also, winning the overall kicking competition this year over Eden (Agero), Sam Oliech and Collins (Injera)!" 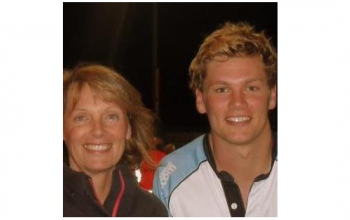 "Whilst I can’t guarantee how long I’ll be in Kenya for, I’d be happy to help out with any clubs that need assistance. I love coaching and being around players and getting my hands dirty." With the experience gained at Kenya 7s, is he ready to coach a team at the World sevens series? "I’d be confident if that opportunity comes around. I believe in constantly trying to improve and develop yourself so that you’re ready when opportunities arise. The last two years have been a great experience and I’ve learnt a huge amount." Apart from coaching Kenya 7s, what else has he been up to? "Obviously pretty busy with role at school. Love all sports and like seeing how other teams/athletes function. I’m trying to improve my golf game... currently I am an inconsistent 15 handicap! I’m a politics graduate so enjoy keeping up to date with all that is happening in the world!" With Kenya 7s having to face contract issues every season as well as allowances issues, Webster says any politics in sport has an effect on performance. "Clearly any politics in sport has an effect on performance. Hopefully, going forward, the players are well looked after as they’re the people who are ultimately representing the country, generating sponsorship and putting their bodies on the line." "Similarly, coaches and management need to feel they’re being backed and have the security of just getting on with the hard work on the pitch."